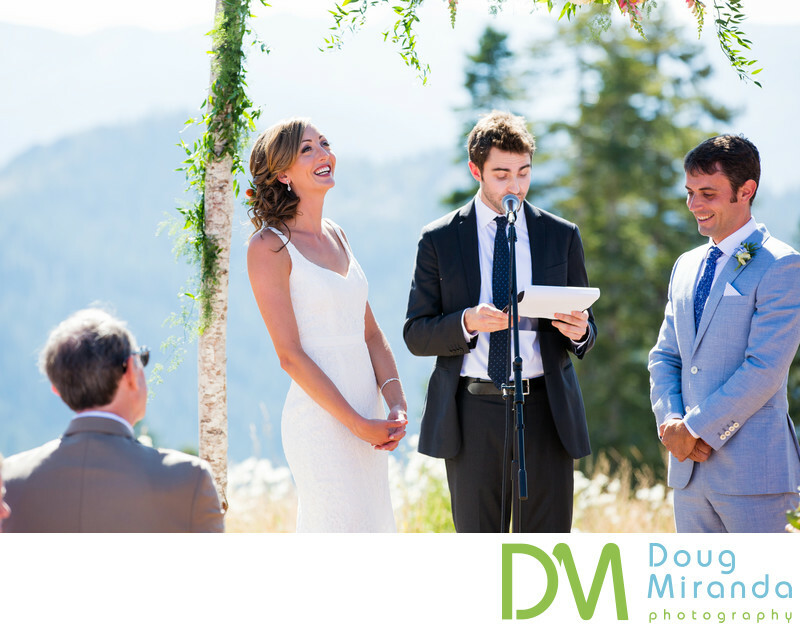 In this picture a bride is smiling from ear to ear has she exchanges vows with her husband during their ceremony. The groom is also smiling and laughing at what was just send during the vows. 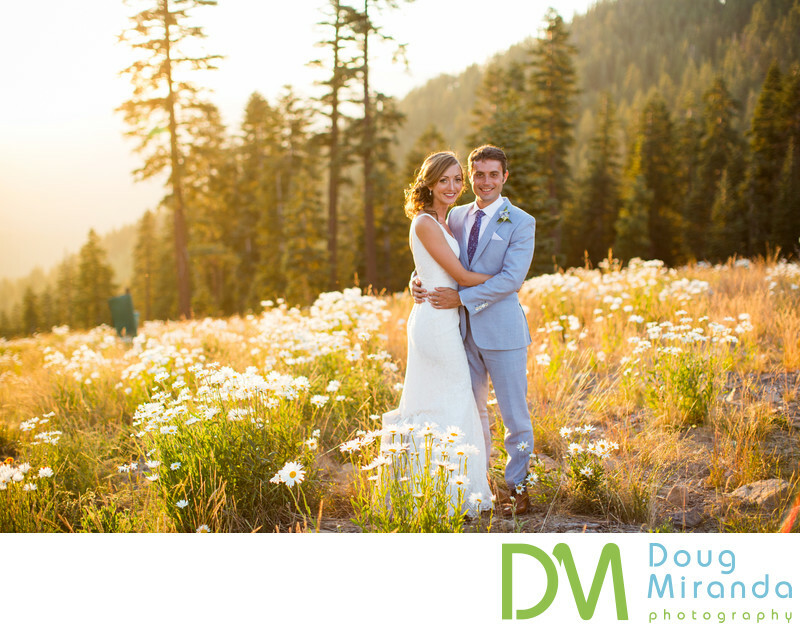 This site is one of the most stunning ceremony locations in North Lake Tahoe.